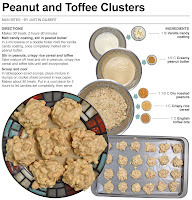 This recipe is actually a modified recipe of my own from two years ago, it still qualifies as an Aunt Suzy Holiday Treat because it was adapted from a recipe of hers. The only change is the toffee bits, the original recipe calls for mini marshmallows. Two years ago I substituted the marshmallows for candy corn while making a Halloween treat. For Christmas, I thought what the heck, why not try toffee. It worked well, in fact, so well that I think the toffee bits make this treat a cut above the candy corn or marshmallow versions. After making this I thought that this is the type of mixture that becomes the inner layer of a candy bar or the heart of a delicious treat made by a chocolatier. In the future, I’m going to modify it a little and mold it so that it can be coated with another layer of yummy goodness – or be the center layer of some type of decadent desert. All this treat making has got my wheels spinning. It’s only a matter of time before I put out some original treats of my own. This is the second time I have posted this recipe. I made it available previously to go along with a story that ran in the Fort Wayne Journal Gazette about my blog. Here is a link to the story. 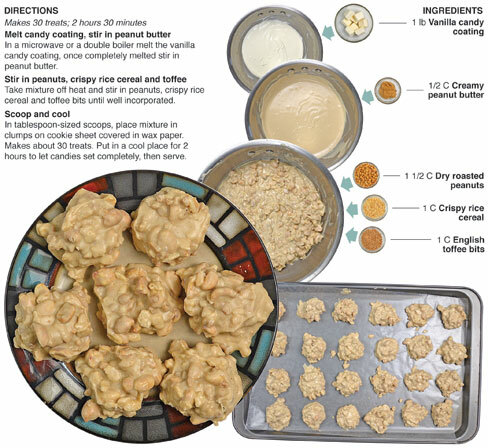 In a microwave or a double boiler melt the vanilla candy coating, once completely melted stir in peanut butter. 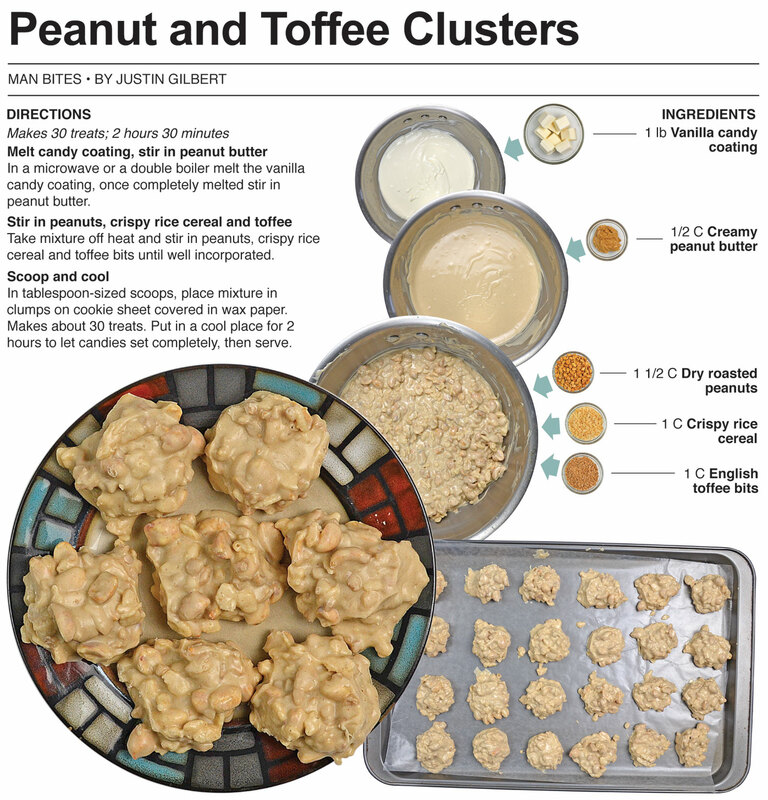 Take mixture off heat and stir in peanuts, crispy rice cereal and toffee bits until well incorporated. 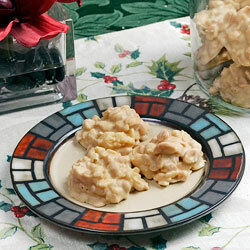 In tablespoon-sized scoops, place mixture in clumps on cookie sheet covered in wax paper. Makes about 30 treats. Put in a cool place for 2 hours to let candies set completely, then serve.